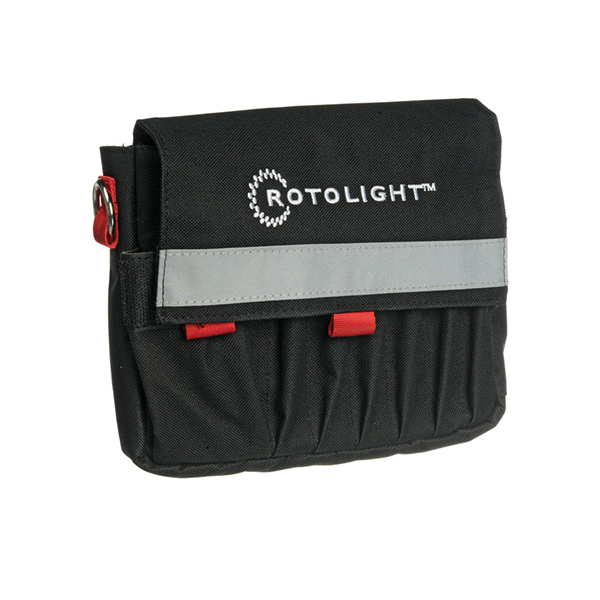 The Rotolight video accessory belt pouch makes transporting your Rotolights even easier than using them. Designed for the on-the-go professional, this pouch holds two Rotolights, six batteries, AC/grip rigging tools, one stand, and even an iPhone. So strap it to your waist like the digital gunfighter you know you are, swagger up to your location and shoot!